Premier Clark critiqued Alberta last week for failing to diversify its economy or managing its books. Perhaps she hoped to portray B.C. as doing much better than other provinces. Unfortunately, it’s not – at least not from a generational perspective. For Canadians in their 20s, 30s, 40s and their kids, B.C. has the worst economy in the country. The 2016 pre-election budget does little to fix it. The bulk of today’s aging population came of age around 1976. Back then, young people in B.C. earned around $51,000 for full-time work (inflation adjusted). Today, full-time earnings pays the typical 25 to 34 year old around $43,000. That’s the largest decline of any province. Simultaneously, housing prices have exploded in B.C. more than anywhere else. In 1976, a young adult could buy a B.C. home for around $217,000 (in today’s dollars). Now homes cost nearly $600,000 on average – even though many are smaller condos with balconies, not houses with yards. This divide between earnings and the cost of housing reveals that the standard of living for younger British Columbians has taken a nose dive. It used to take five years for a typical young Canadian to save a 20 per cent down payment on an average home. Now it takes 12 years across the country, 15 years in Metro Toronto, 16 years across all of B.C. and 23 years in Metro Vancouver. Even if we ignore average prices skewed by the uber-wealthy, just 15 per cent of homes in Metro Vancouver cost less than half a million dollars and have 3 bedrooms – enough rooms for a family with two kids. This region includes half the province’s population residing in cities that stretch from Delta to Langley and Maple Ridge. 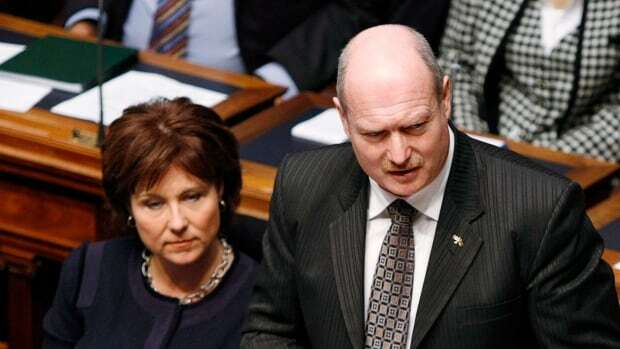 It's appropriate for the Premier and Finance Minister to tout the fact that B.C. has the best growth rates in the country and a triple-A credit status; however, it's simultaneously true that B.C. has the worst performing economy for younger Canadians when measured by the interaction of earnings relative to the cost of living (something they are either unaware of or choose not to emphasize). The 2016 B.C. budget offers little to tackle this problem. For example, while it allocates $355 million over five years to put toward housing affordability, which will help up to 2,000 families, it is not up to the task of fixing a housing market that is broken for younger citizens who number in the hundreds of thousands. The B.C. government also committed to exempting purchasers from paying the property transfer tax on new homes up to $750,000, a measure that will reach some of that broader group of residents. But the resulting savings can’t compare with housing prices up hundreds of thousands. The first step to solving a problem is acknowledging it. We believe the B.C. government needs to go further in acknowledging that while escalating housing prices are great for home owners, especially those with decades of equity gains, increases are bad for their kids and grandchildren. The B.C. budget ignores this: it proposes no new annual taxes on housing wealth and no real measures to minimize speculation. Nor does the budget reduce other major costs that young adults face. Child care still costs the equivalent of a second annual mortgage payment. Sharing time at home with a new baby on parental leave costs the equivalent of a third mortgage payment. Transportation, especially from the burbs to Vancouver and Victoria, can approximate another mortgage. While B.C. doesn’t spend substantially more to reduce these costs for younger Canadians, it does increase spending on medical care, yet again. Health care expenditures are up by more than half a billion. Now health care spending on seniors alone adds up to 1/3 more than spending on all of grade school, or all of postsecondary. This reflects the ongoing age pattern in provincial government spending. When combined with federal and municipal expenditures, governments spend over $33,000 per retiree compared to less than $12,000 per person under 45. Supporting the aging population is critical, including with their health care and retirement income security. We all have parents and grandparents we love. But it is equally critical to fix the unaffordability problem plaguing their kids and grandchildren. It’s time that fixing this problem becomes a top priority for all parties heading into the 2017 B.C. election. That’s what Generation Squeeze is organizing toward -- so our province works for all generations.